Although there’s plenty of clubs in Croatia, the country isn’t all that well-known as a party destination – certainly nothing on par with Ibiza or some of the other Mediterranean islands. Whilst this may come as a relief to some, we do appreciate that plenty of you do fancy a bit of a party when on holiday. Below is our list of some of the best clubs in Croatia. For a property party/nightlife experience, you surely can’t do better than attending one of the awesome Festivals in Croatia. The country is increasingly becoming a top European festival destination, and attending a festival on the beautiful Adriatic coast is a fantastic experience! 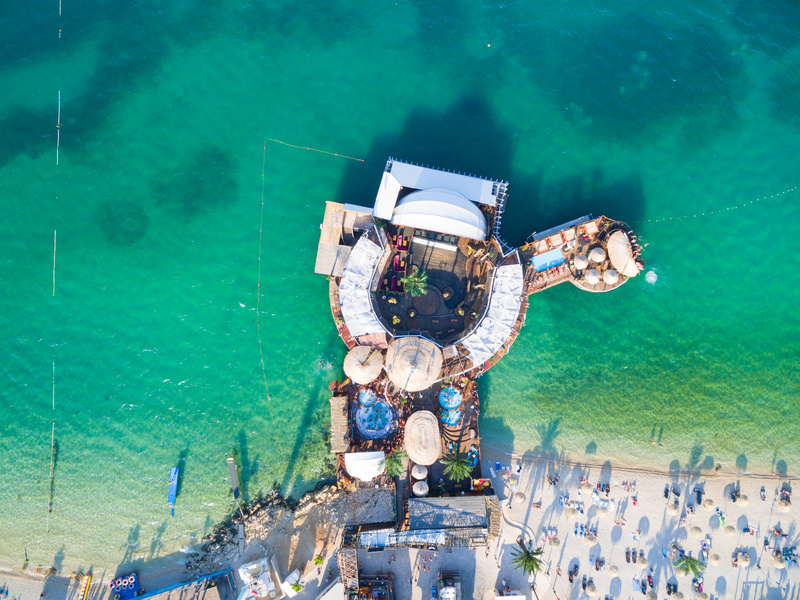 Probably one of the most famous clubs in Croatia, Papaya now hosts a very busy line-up of events each summer, including assorted festivals (such as the Hideout Festival, Sonus and Fresh Island Festival) and one-off sets by big name DJs such as Fatboy Slim and Armin Van Buuren. This beach club has capacity for 5,000 people and is normally open until the very early hours. Papaya was ranked 23rd in the DJ Mag’s Top 100 Clubs in the World! Another beach venue on Zrce, Aquarius is the Novalja off-shoot of the Aquarius club in Zagreb. There’s parties by day and night all summer long, with top DJs playing on some nights. Sure you can party by the sea, but what about partying on the sea? Situated on a large circular platform jutting out onto the Adriatic, this is one unique experience. Hosts some of the Novalja festivals as well as having one off DJ nights. Another popular beach club – not on Pag this time, however! – Santos Beach Club offers quite a wide range of musical highlights in summer, from international DJs to Croatian pop. Open by day, there’s a pool for frolics! One of the oldest clubs on the Croatian coast (with a name like Hacienda, it’s not surprising), this is another open-air club with a good mix of big names and local DJs. Has capacity for 2,000 people. One of the most famous clubs on Hvar, if not in all of Croatia! The excellent waterfront location means it’s a enjoyable venue day or night. Carpe Diem Beach, on the Pakleni islands, is famed for its full moon parties. This club is relatively new onto the nightlife scene in Croatia, having only opened in late 2010. However, in may ways, there’s not many places that are more impressive to rave the night away – this club is situated inside the 16th century Revelin Fortress on the eastern edge of the Old Town. Features regular club nights. Located just above Banje public beach, just outside the Old Town walls, is the East West Beach Club. Hip hangout by day – with a restaurant and bar – it’s a stylish cosmopolitan club by night.